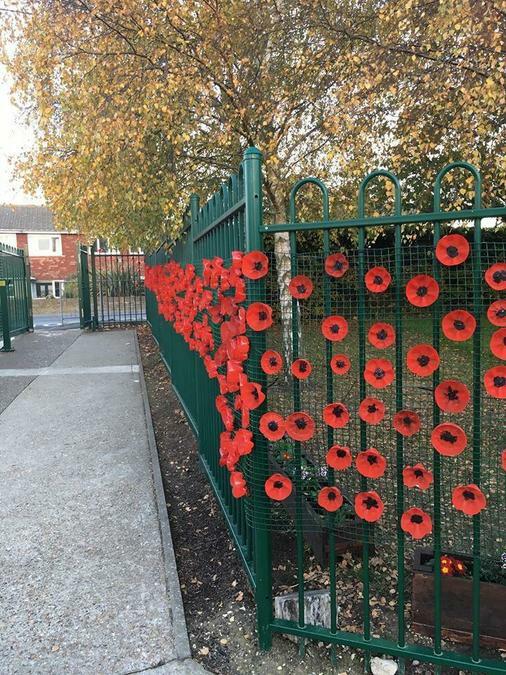 The parents at St Mary's Primary in Deal sent in used plastic bottles and the ends were cut off to make a flower shape. 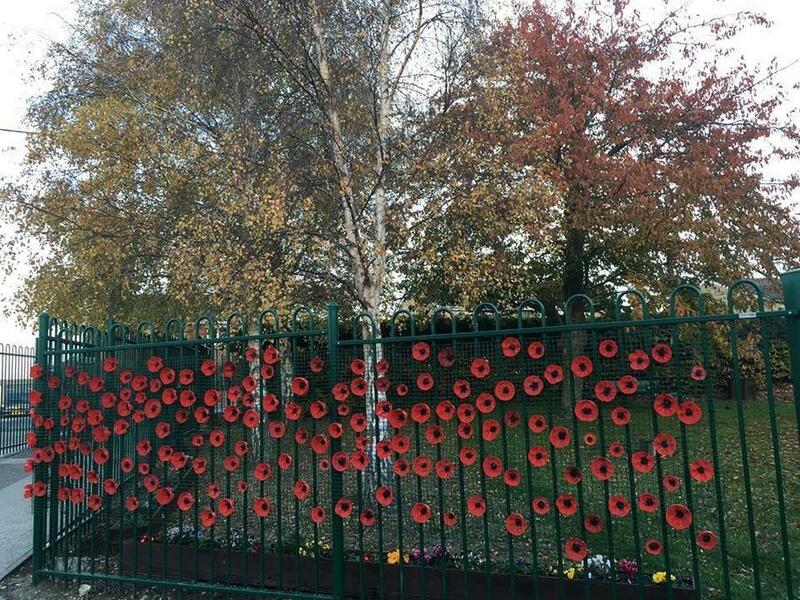 All the children and staff in the academy then painted the shapes to make the poppies. 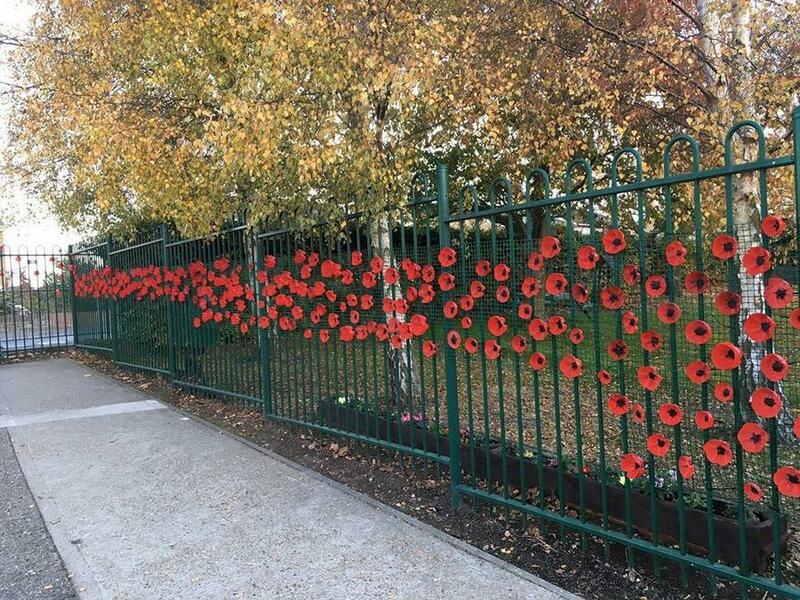 Mrs Sparkes and Class 5 put the poppies up outside academies and made a very beautiful and moving display. 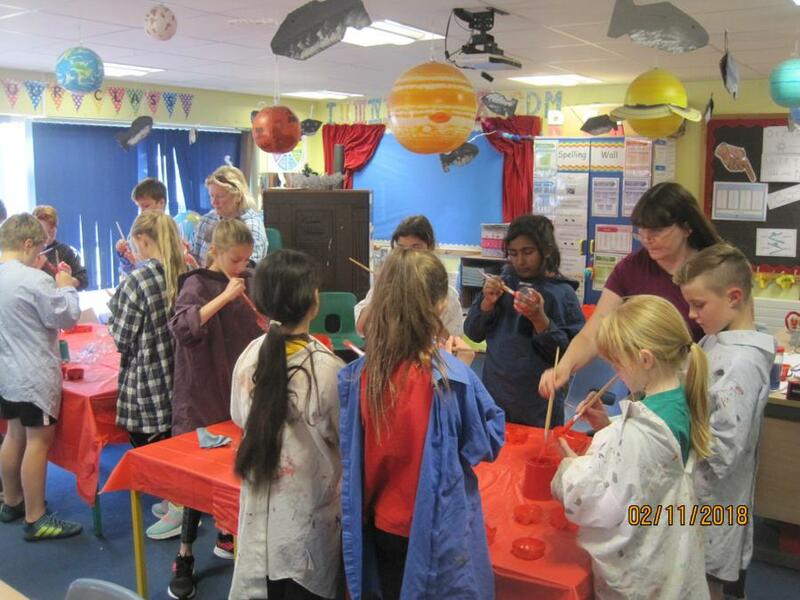 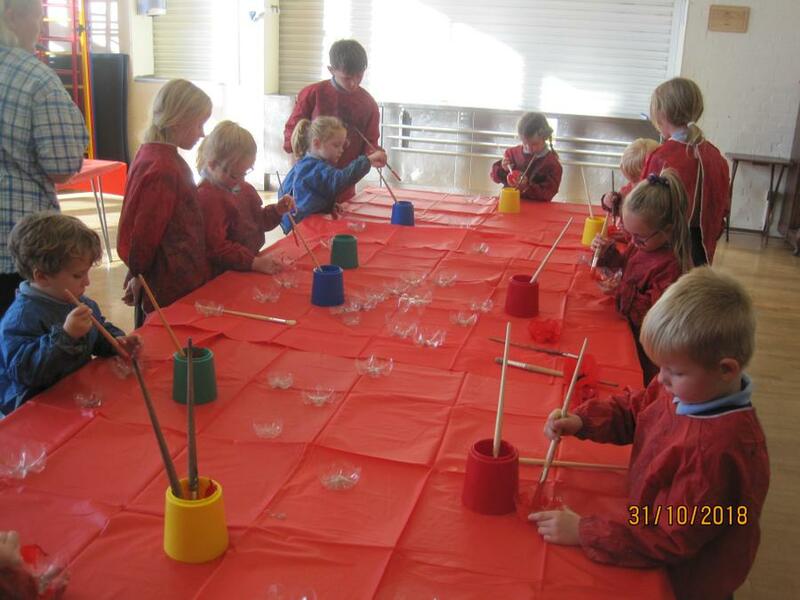 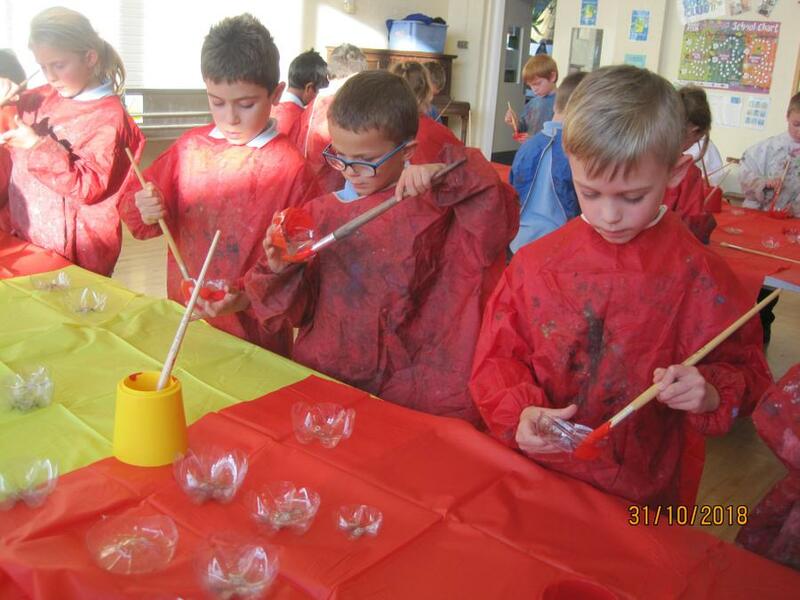 The photographs below show some of the children painting the poppies and also the finished display. 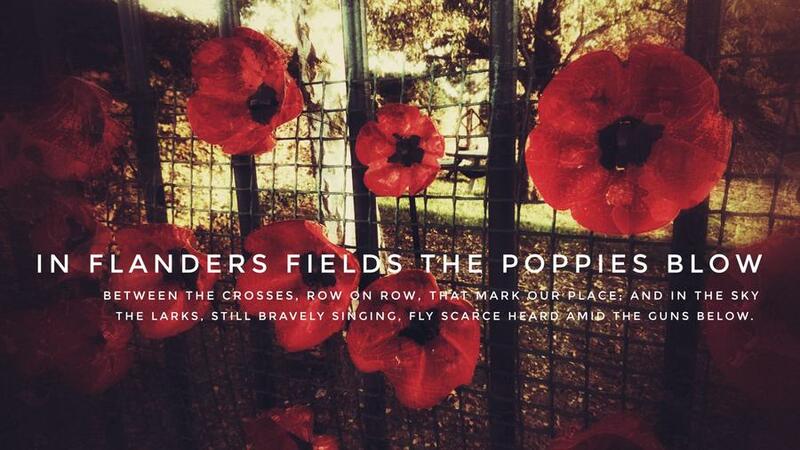 There is also one with a poem which one of their parents have kindly done from a photograph he took yesterday.